Rides 4 Less Tax Service offers an airport taxi to make your travel arrangements more convenient. Rides 4 Less Taxi service is the finest taxi service in the Akron area. 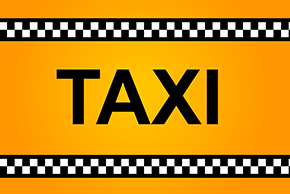 Since 2011, our taxi service has provided the best service around for many types of clients. We are friendly, professional, and best of all, we are reliable. We are family-owned and operated since the beginning of our business, which is the way we like it. Being a small, local, family business, it gives us a chance to pay closer attention to detail and focus on customer service. Our company is in this business because of people like you, which is why we will treat you like family. Past customers have described us as honest and professional. Take a ride in one of our taxis. We are sure to surpass your expectations. Everyone on our team is licensed taxi operators. We only hire the best and most professional members to join our team and expect them to meet our high standards. Because we are a small company, we all work together to make your experience the best you have ever had. We address any issues that arise quickly and effectively. Our rates are affordable and we accept Visa, MasterCard, Discover, American Express and cash. We are open 24 hours a day, 7 days a week to be available at your convenience. Give us a call today to book your taxi ride.